President Obama did yesterday in Jerusalem what he does best — he stirred up a vital commotion of hope and a sense of agency, which many of us Israelis have been lacking, certainly when it comes to what is termed here as “politics” – war and peace. He energized the room with his presence and his words, even when they were harsh, because he spoke to the defining elements of our (still) mostly secular identity. By reiterating the story of Passover and the miraculous successes of Israel, he won over the room, and when he flipped the mirror and shined the light of those foundational myths on the lives of Palestinians in the West Bank and Gaza, many were unable to resist. He managed to make us see ourselves in the Palestinians, disarming, if only briefly, the dehumanization of conflict. He spoke of “justice,” a term avoided like the plague by most Israeli politicians, those who still discuss “peace” at all, and received applause, not scorn. What’s more, he managed to make us, the young people sitting in the room, lose our self-image as victims, nurtured by Israeli politics and politicians, and replace it with one of capacity and capability – to effect change, not be fearful of it. We regained our ability to hope, and with it came a sense of our responsibility and potency that many of us have been shunning for too long, including vis-à-vis our political leadership. Now it’s our duty to deliver. 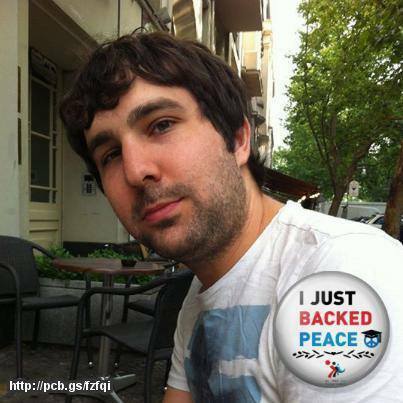 Posted on March 26, 2013 April 10, 2016 by rebeccabrindzaPosted in English, UncategorizedTagged israel, NimrodBenZeev, peace, yalayoungleaders.